You know that spring is on its way in Japan when the "sakura" (cherry blossom or cherry depending on the entity that distributes it) foods start popping up. 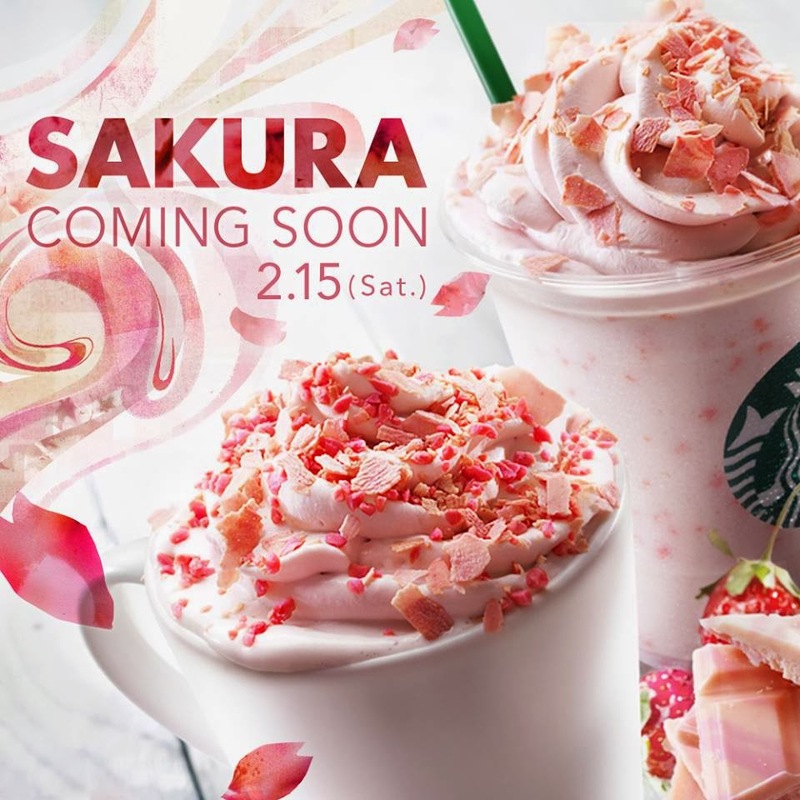 In my buffer, I have a post I've been sitting on which talks about seasonal flavors and sakura is definitely a harbinger of the end of winter. Starbucks is launching a very pink-looking beverage the day after Valentine's day. You'd think they'd do it before, but I believe this is a way of appealing to palates that are tired of all that chocolate. This is cherry and white chocolate with strawberry-flavored candy bits on the top. While I have to admit that the colors are beautiful, this is the sort of thing I'd avoid because I'd expect the fruit flavors to create a strange melange and the white chocolate to make it too sweet. This is sweet but not overly so like many things in Japan. I am not a fan of white chocolate but I do like cherry. This is not normally something I would choose but I figured I'm only in Japan for a few more months so why not. It is delicious, creamy and only good for a limited time. I wouldn't regret not getting it but I also don't regret trying it either.